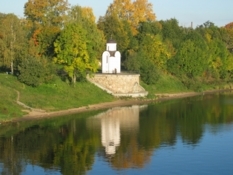 Russian Pskov city on photos. Ancient chapels, chuches, towers, chambers. 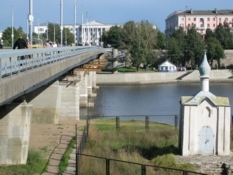 Russian Pskov city. 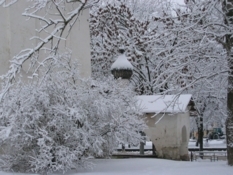 Ancient Chapels. Russian. 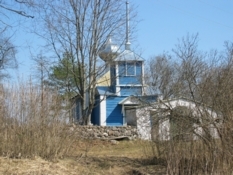 Virgin Korsunskaya Chapel - it was built in 1929 year in Izborsk village, 32 km from Pskov city. The small in volume, it is exceptionally proportional, slender and harmonizing with surrounding space. 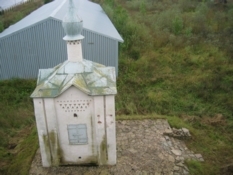 On photo little chapel built into St. Nicholas Church. Pskov breath the warmth and richness of this small, simple construction. The chapel is like a small porch attached to the side of the sanctuary arse. As known the last Russian Tsar (King, Prince - in Russia it was Tsar) Nicholas the 2nd signed the abdication order in Pskov in 1918 after communist revolution. 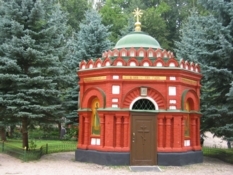 In order to commemorate Nicholas, who is officially recognized a Saint figure by Orthodox Church, Pskov has constructed a Chapel near train station. This is the place where the tragic event took place in the beginning of the last century. The chapel was officially opened on July 17, 2003. It was one of the core events of the forthcoming 1100 th birthday of Pskov city. 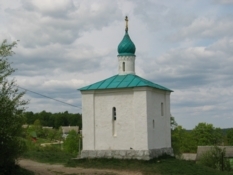 St. Olga Chapel, which was built in 2000 year in Pskov city, on the bank Velikaya river, opposite Kremlin, near with Dormition (Assumption) by the Ferry church, not too far from St. Anastasia's Chapel. 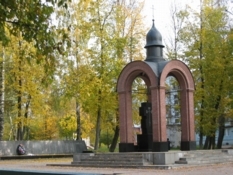 The beginning of Pskov city history is connected with the name of the famous princess Olga. Photo gallery. 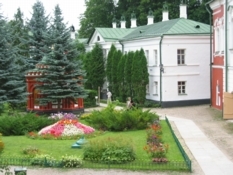 Russian Pskov city on the photos. 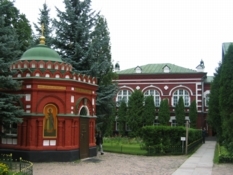 All about Russian ancient Pskov city. Hotel, travel Reservations. A lot of photos and information. Russian recipes and fairy tales. Quotes, poetry and poems of Russian writers. 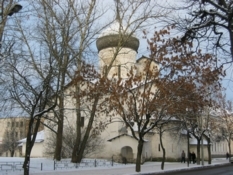 More PSKOV photos.